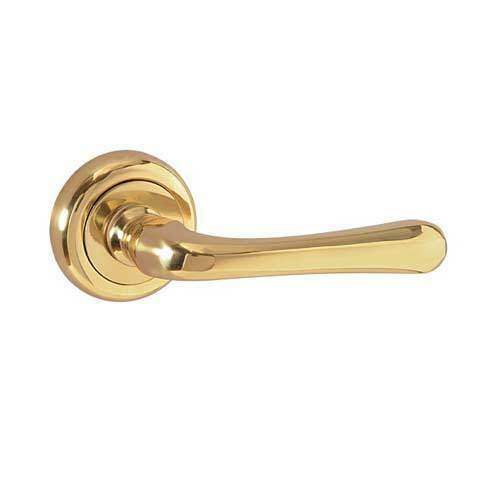 Having a definite quality management system, we are regarded as the noteworthy manufacturer, exporter and supplier of an extensive gamut of Door Handle on Rose. The offered range is meticulously tested on various quality parameters and is widely demanded in various industries. Provided range is manufactured by utilizing optimum quality raw material and latest technology. In line with international standard we provide the entire range in various customized options and at affordable prices. Driven by committed approach, we founded Manish International in the year 1986, responsible for manufacturing, supplying and exporting Cabinet Handles & Door Knobs. We carry out our manufacturing tasks in accordance with the industry approved norms, using qualitative components and proven technology, so that outcomes offered must be up to customers’ expectations. For our profound customers, we have assorted Lever on Rose, Cup Caster and Letter Plates, in order to offer them perfect solutions for their interior needs be it handles or knobs. As liable towards offering our customers qualitative products, we are availed with advanced working facilities and team of experienced professionals. Our workplace is sprawled over a wide area equipped with latest range of machinery & tools. Assorted equipment play essential role in carrying out our business tasks inclusive of quality controlling, design & development, packaging and delivery. In the process, we are incorporated with most effulgent workforce, chosen on the ground of their skilled ideas and competitive approach. The complete manufacturing procedure is performed under the strict supervision of our quality controllers and thus, helps us to deliver our promised specifications in terms of best quality products. We have been able cater a huge clientele across the global market.